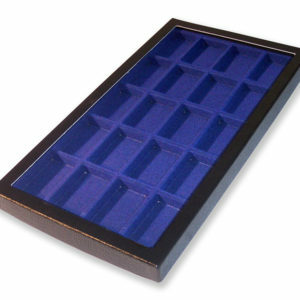 The case is cardboard with a black pebble grained leatherette covering. 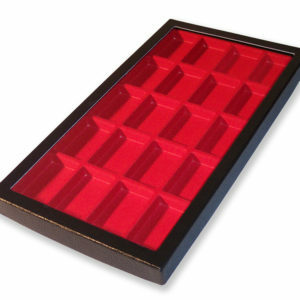 Moulded plastic compartmented insert with coloured velvet flock finish and glass lid. 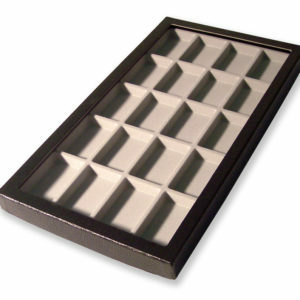 This is one of the most popular sizes for general display but perfect for the Zippo, Ronson, Dunhill lighter collector.